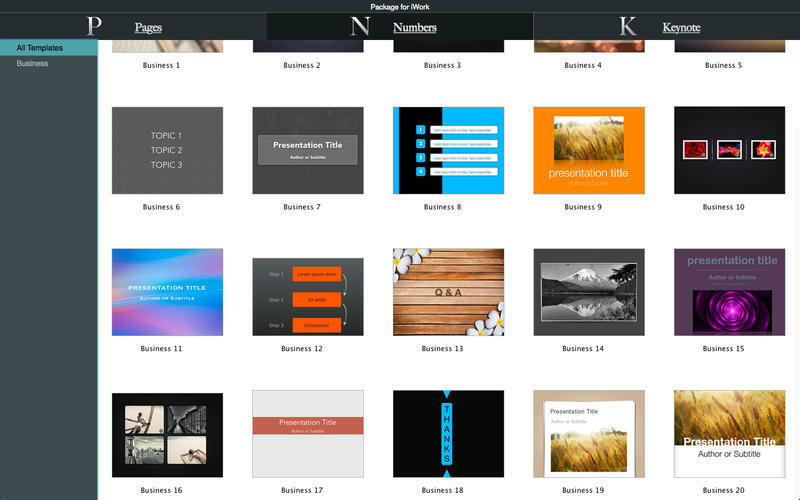 Set of 250+ templates for iWork. 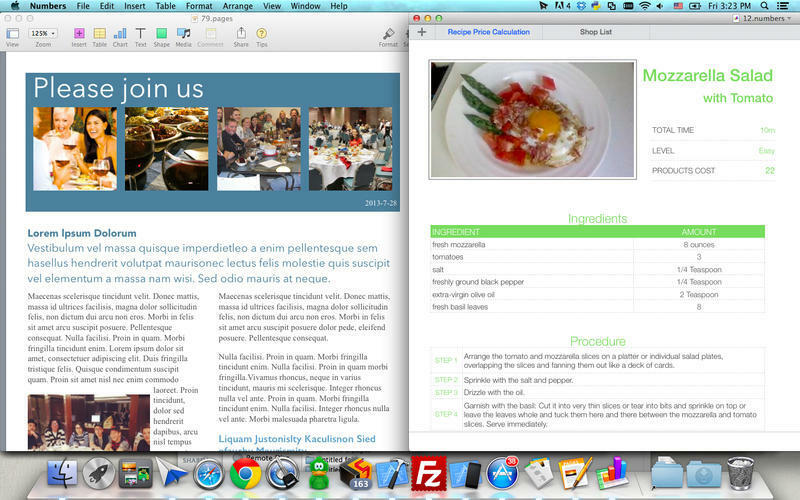 Is there a better alternative to Package for iWork? Is Package for iWork really the best app in Applications category? Will Package for iWork work good on macOS 10.13.4? 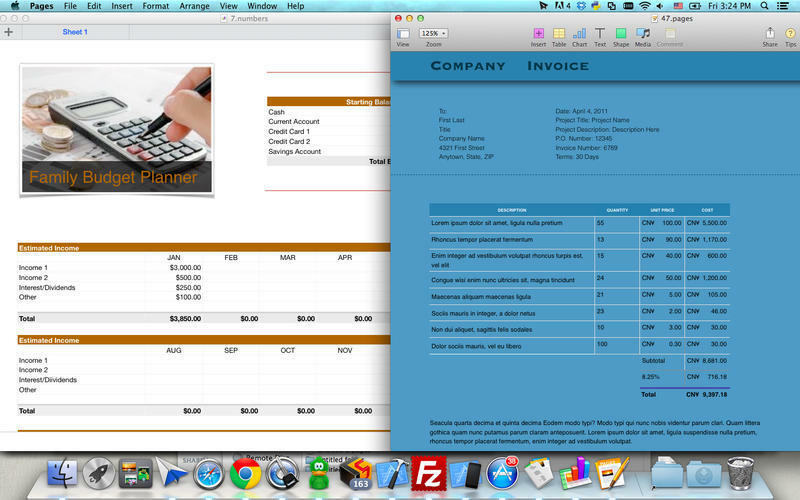 Package for iWork is professional, widely used set of templates for Pages, Numbers, and Keynote. Get the tools to create great-looking documents. 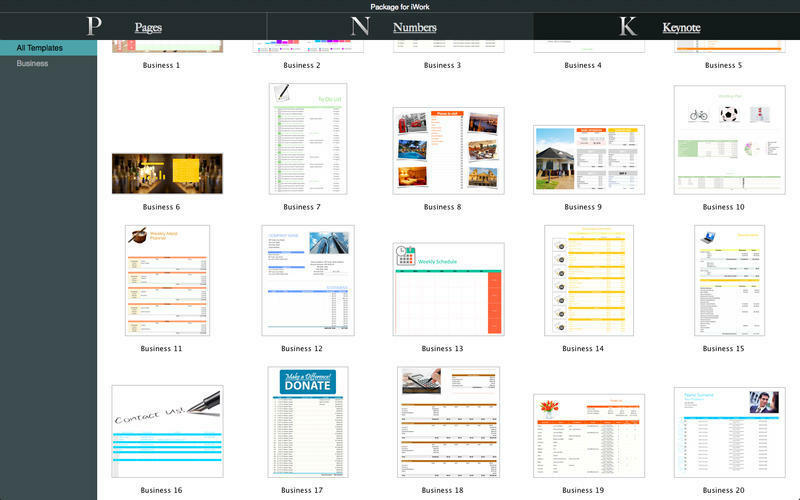 Quickly browse through the template categories, from annual reports and magazines, newspapers and datasheets, business cards and letterhead, calendars and greeting cards, resumes and cover letters. With over 250 professionally designed templates to choose, your next flyer, newsletter, report or poster is ready to start. 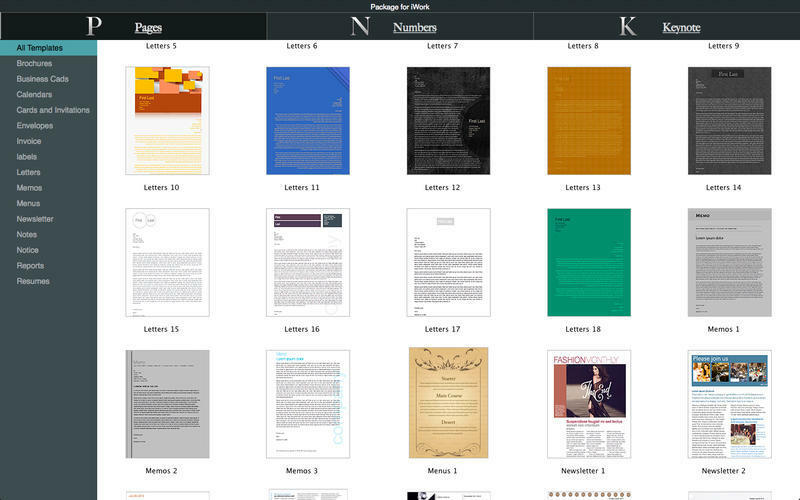 Even before you start writing, your document already looks great. Package for iWork needs a rating. Be the first to rate this app and get the discussion started! Plan, organize, and control your business, home, and personal life. You'll find everything from business finance and planning, calculators, sales analysis tools, personal management and planners, checklists, calendars, and much more. These templates are easy to use, the hard stuff - calculations, functions, and formulae - is already there. Being organized has never been this easy. Present, engage, and connect. Get your message heard loud and clear using built-in infographics, 3D charts, percentages and ratios, key facts and figures, and interesting text and photo layouts. These templates move, literally. Keep your audience engaged as the slides "magic move" from one to the next, and maps you can reposition, zoom and pan across the screen.